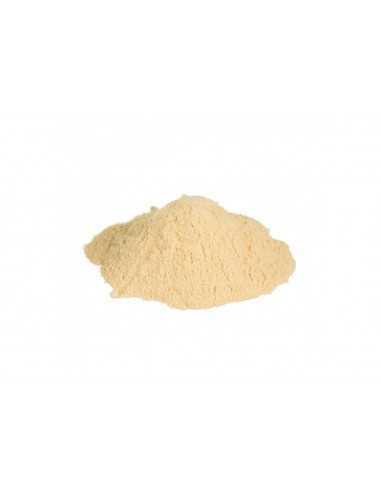 Ginseng (Panax ginseng) 50 grs. Only the roots of the ginseng plant is used. Ginseng is also called 'panax', which means 'cure all'. In China this herb is traditionally used to protect against the effects of ageing. It increases vitality and resistance of the body and provides energy when feeling low or tired. The herb increases resistance when you are feeling weak. It stimulates the body and supports the adrenal glands, which take care of recovery and growth, and make one more stress-resistant. According to Traditional Chinese Medicine, Ginseng is very suitable against shock, when energy levels are strongly reduced. 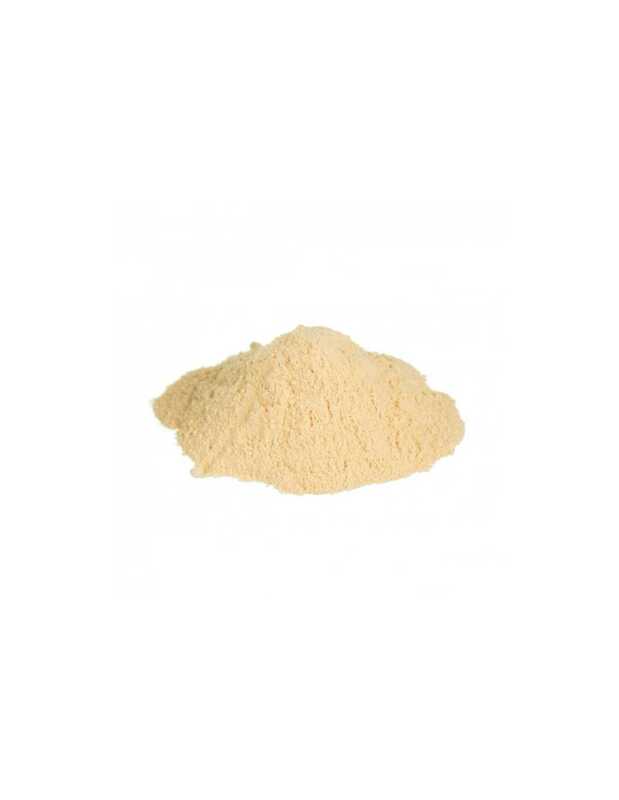 Ginseng is a remedy against exhaustion resulting from extraordinary physical and mental exertion. It strengthens the memory, concentration and increases the reaction speed. Dissolve a teaspoon in a drink once a day, this will give a general strengthening, body cleansing and endurance increasing effect. To make tea, boil 3 grams of Ginseng powder in water for 5 to 10 minutes. Sift before drinking. You can also chew on it or make liquor out of it. Ginseng may be combined with Fo ti tien (Gotu Kola), to bring mind and body back into balance. For concentration and clearer thinking Ginseng can be combined with Ginkgo biloba or Guarana. Excessive use can lead to a headache. Use no more than 6 grams a day, as the literature mentions only doses between 1 - 6 grams. An overdose of ginseng can lead to sleeplessness, tensed muscles and retained fluids.